The stock was trading higher for the sixth straight day, up 5 per cent at Rs 1,205, its highest level since listing on October 8, 2018, on the BSE. Shares of Aavas Financiers were trading higher for the sixth straight day, up 5 per cent at Rs 1,205 apiece, hitting a new high on the BSE. Since March 1, in the past four trading sessions, it has rallied 21 per cent after CARE Ratings upgraded its credit rating to AA-/stable from A+/positive for long term bank facilities and long term instrument – subordinated debt. The rating agency reaffirmed A1+ rating on the proposed commercial paper issue. The stock of housing finance company was trading at its highest level since listing on October 8, 2018. It has rallied 43 per cent in the past one month, as compared to a 0.73 per cent decline in the benchmark S&P BSE Sensex. Aavas Financiers reported a more than double net profit at Rs 56 crore in Q3FY19 against Rs 25.9 crore in a year ago quarter. Net interest income (interest income minus interest expenses) was up 73 per cent year-on-year (YoY) to Rs 1,239 crore from Rs 717 crore during the quarter. The company reported high disbursement growth in Q3FY19 of 38 per cent YoY to Rs 711 crore from Rs 516 crore in the corresponding quarter of previous fiscal. Assets quality improved with gross non-performing assets (NPAs) by 24 basis points to 0.58 per cent and net NPAs is 0.49 per cent improved by 21 bps of the outstanding loan book as on December 31, 2018. “The revision in the rating of Aavas Financiers factors in company’s bolstered net worth base on account of fresh capital raising in FY18 & 9MFY19 which will support its growth plans over the next few years while maintaining a comfortable capital structure. The revision in rating also factors in the company’s ability to scale up its operations while maintaining comfortable asset quality profile and granular loan book,” CARE Ratings said in press release. The rating derives strength from the well-experienced management team, comfortable liquidity and resource profile and adequate risk management and control systems put in place by the company as well as good growth opportunities in the affordable housing segment, it added. Going forward, the ability of the company to grow its loan portfolio, while maintaining asset quality, along with progressive seasoning of the loan book, more geographically diversified portfolio and maintaining healthy profitability and capitalization profile would be key rating sensitivities, the rating agency said. 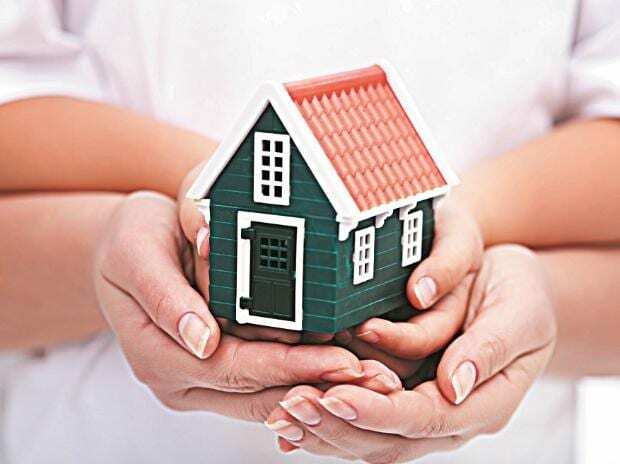 Aavas Financiers (formerly known as Au Housing Finance), is a retail, affordable housing finance company, primarily serving low and middle-income self-employed customers in semi-urban and rural areas in India. The company’s product offering consists of Home loans for the purchase or construction of residential properties, and for the extension and repair of existing housing units.